So I have a Rock island 1903 that was handed down to me by my dad (who isn’t a gun guy) and I’m trying to find out some info on it. The best I can figure based on the serial number is it was made in 1918. Anyone out there familiar with these? I’d like to know it this was a gun possibly issued during WWII etc. any help is great! The receiver serial number is above 285,507, so it should be safe to shoot. The receiver was produced in 1918 per Joe Poyer's book The Model 1903 Springfield Rifle. A considerable number of 1903 Springfields were issued during WWII, because the production of the M1 Garand did not meet demands for issue to deploying troops. A lot of rifles were assembled from parts bins during WWII. It is difficult to ascertain when the rifle was actually assembled without researching depot markings on the stock and still there is no guarantee. What is stamped under the wrist of the stock? 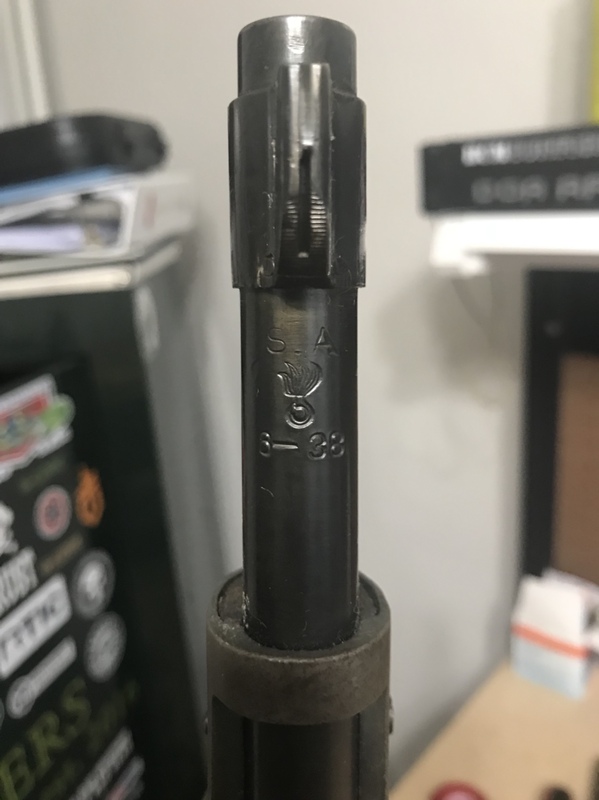 Are there any stamp marks in the barrel channel? There’s actually nothing stamped on the stock anywhere. 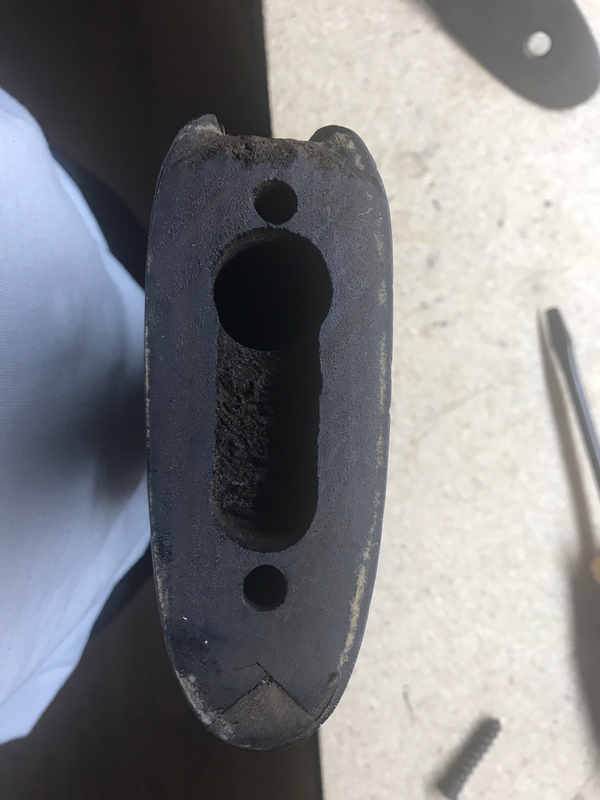 I did pull the plate on the end of the stock off and it looks like there may have been a different one originally because the is a second hole for a screw now covered. I took the front part of the stock apart and found this too. I don’t know if I have the right type of tool to completely take it apart. I'm not even close to an expert, but from what I can tell based on the pictures, it was rebarreled with a Springfield Armory '38 dated barrel. 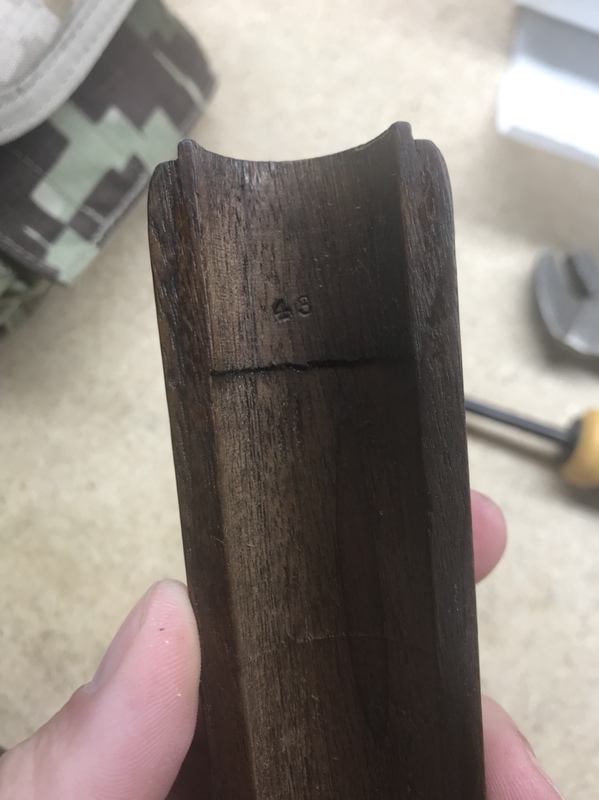 Not uncommon at all for WWI rifles to have been rebarreled before WWII and during. 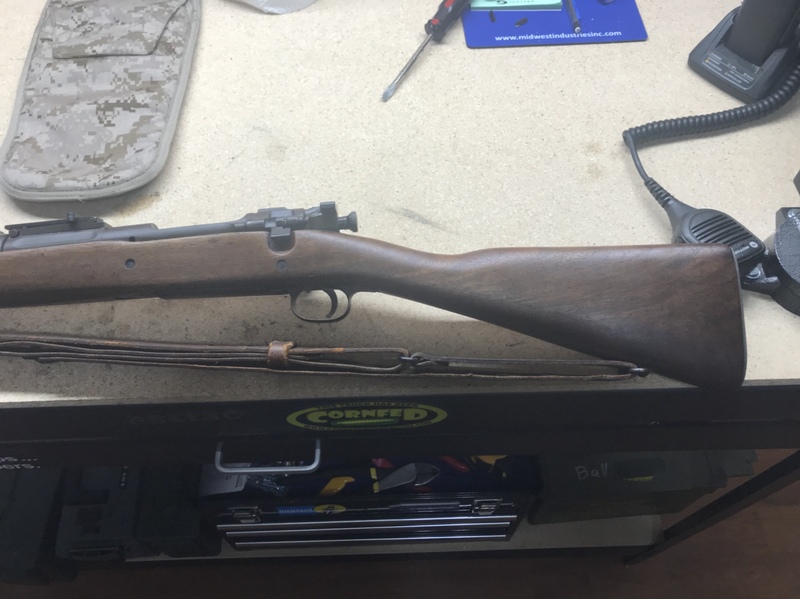 Stock looks correct for an actual 1903, but other parts of it look like a 1903A1. 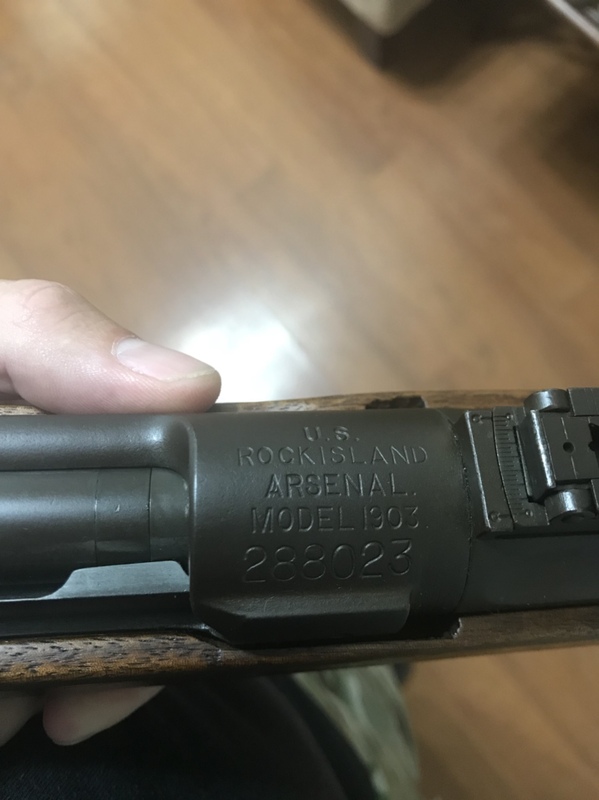 1903A1 is more correct for early WWII issue, but the straight stock on yours is odd, as it most likely would've been replaced. Good observations. The arsenals used what was available and it would not be unusual to see a straight or scant stock on a late rifle. My 1903A3 Smith Corona was made in 1943 and had a straight pinned stock. 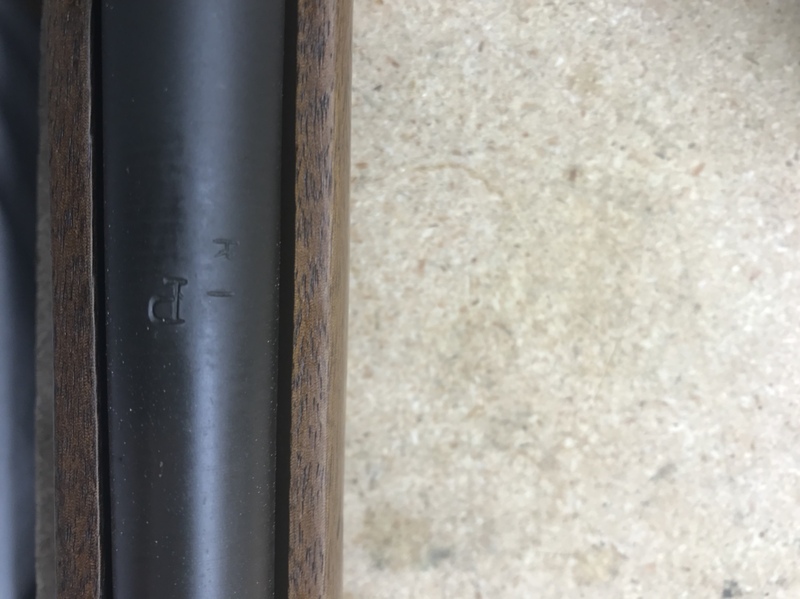 All the markings on the stock were correct for a rifle built at the San Antonio Arsenal in 1943. 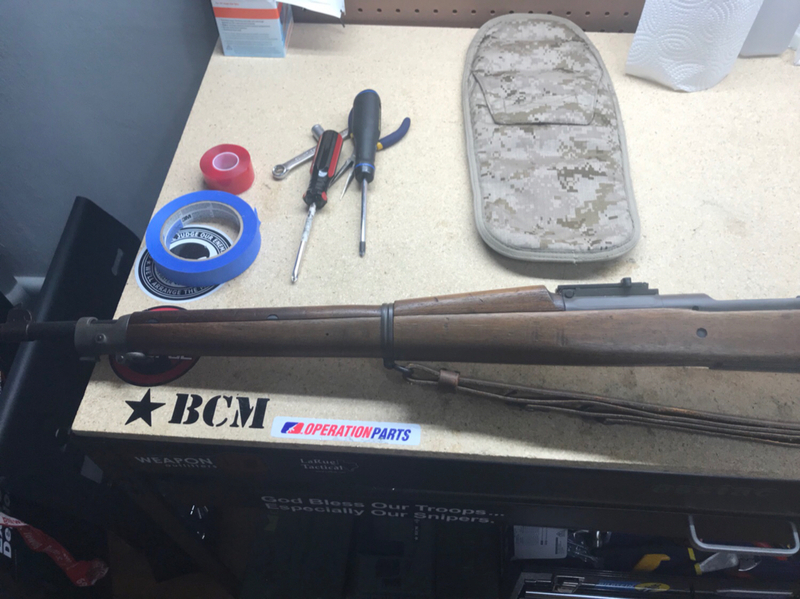 I just noticed the "Hatcher hole" on the left side of the forward part of the receiver over the chamber - that means your rifle was almost certainly refurbed in 1939 and could have been a Marine rifle (or Navy). These were the Marines' primary rifle up through Guadalcanal, after which they started receiving M1 Garands (if they couldn't "appropriate" one from the Army sooner). Not uncommon at all to still see '03s or 03A3s (03A3s began showing up in 1943) in photos from '43 and '44, too.